Sacred Heart College, the oldest Catholic institution for men and women in Quezon Province, was founded on April 27, 1884. 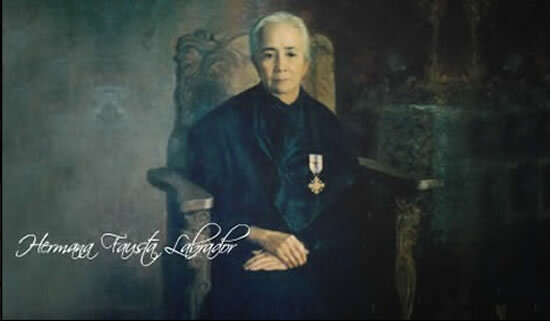 The school had its roots in the vision of a simple and saintly woman named Hermana Fausta Labrador who, at the age of 26, opened a Charity school to form the youth according to the ideals of the Catholic faith. Hermana Fausta's zeal to sow the seeds of Christian values was based on the deep love for the less privileged. This has led her to devote her lifetime to service of humanity, particulary the deprived in the community. By the power of the instruction and example, the lessons of love have been continually lived in the various projects and activities of Hermana Fausta reflecting sympathy understanding, and openness to others. The mission of Hermana Uta, as she was fondly called, obtained its first shapes through Don Gregorio Merchan, a wealthy citizen of Lucena, who offered his house to serve as the first school building on April 27, 1884. Having been trained and molded by the Daughters of Charity at the Colegio de Santa Rosa, Hermana Uta later decided to leave her school in the hands of the Daughters of Charity in the twilight handed over to the Sisters on August 14, 1937. In 1939, the school was operating the complete primary, intermediate and high school courses. Running the school was not an easy task. But the Daughters of Charity, steeped in the spirit of their founder, St. Vincent de Paul, and perpetuating the mission of the Foundress, remained undaunted and steadfast. True to spirit of their founders, they worked and prayed hard to mold the youth into becoming fully integrated individuals. Realizing the need for the good teachers founded on solid Christian ideals, the sisters deemed it necessary to open a teacher-training course. So in 1941, the school offered the Junior Normal Courses (E.T.C.). With the opening of the new course, the status of the school was changed from Academy to College. The outbreak of the war in December 1941 forced the temporary closure of the school. The school reopened in July 1942 during the Japanese occupation. On September 14, 1942, at the age of 84, the saintly Foundress of Sacred Heart College passed away. But her spirit continues to live to this day in the hearts of the people she had impressed with her mission. It seemed that not even the conflagration that swept the first school building on June 11, 1944 could kill the spirit of utter selflessness. From the house of Don Gregorio Merchan to the residence of Don Agaton Rodriguez to the house of Atty. Fabian Millar to the Club X building to the present school site the spirit of the Foundress continues to permeate the corridors, the hall, the grounds and the chapel. With the construction of the present school building, the former site of the school razed down by the big fire that hit Lucena in 1965 was transformed into a landmark. The Hermana Fausta Development Center stands as a living tribute to the foundresss, a gift of love for the poor as it has become the center of the school's community outreach projects for the depressed sectors of the community. Through the years, the school continues to upgrade itself, aimed towards providing only the best in quality education and the ultimate in spiritual formation and community service. In 1982, the Basic Education Department took that bold step towards academic excellence by undergoing and passing the rigid requirements for accreditation of the Philippine Accrediting Association of Schools, Colleges and Universities (PAASCU). To maintain its accredited status, the department continues to upgrade the quality of its service delivery. In 1993, the Higher Education Department likewise made its own bid for PAASCU accreditation, passing the Prelimenary Survey and the Formal Survey in February 1998. Sacred Heart College HED is PAASCU Accredited School. In the area of physical development, the school in the last two decades has constructed and/or developed other landmarks such as the school gymnasium 1984, the Sto. Nino Building and the St. Vincent Hall in 1993, the John Paul II Youth Formation House along with the TwinHearts Ecology Park in 1994, a three story building for the Basic Education Department in 1997 and the SHC Cultural Center and Gymnasium in 1999. To meet the needs and challenges of the times, the school has opened new courses and majors in the Higher Education Departments such as AB Communications, AB Psychology, BS Computer Science, and Computer Secretarial. On top of these significant developments is the opening of a graduate program in Master of Arts in Education. This persistent struggle of the school at achieve excellence and to produce quality graduates has established Sacred Heart College as a reputable institution of learning in the province and in the entire Southern Tagalog region. Thousands of students have entered and left the portals of the school but the mission of Hermana Fausta lives on. 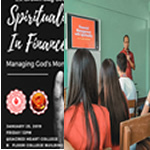 To this day, Sacred Heart College continues to live up to the ideals of its Foundress and to bear witness to its Vincentian legacy, producing graduates who are Integrated and Commimtted Christians for Church and Country.